Assurance wireless is one of the assistance programs of the government. The Federal Universal Service Fund is providing lifeline government benefits including telecommunications via wireless telecommunications companies like Virgin Mobile. You’ll definitely need to use Virgin Mobile because it’s the only way you can get the Assurance Wireless Lifeline Program, offering wireline benefits or single wireless per household. To know if your city is included on the list of Assurance Wireless, all you need to do is to type your city in the search box and hit enter through the Assurance Wireless website. 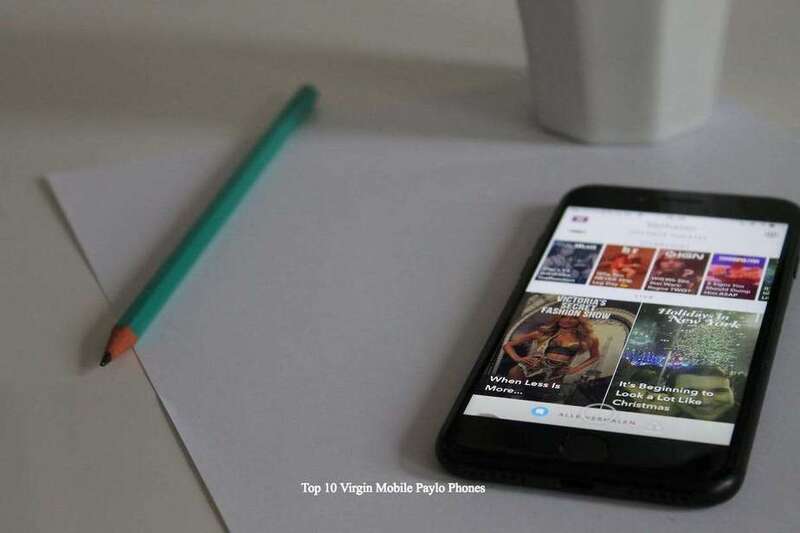 So let’s find out the top 10 virgin mobile paylo phones today! The Kyocera 2300 Prepaid Phone is a Virgin PayLo mobile phone that is compatible with Assurance Wireless. It is an affordable messaging and social networking phone with full QWERTY keyboard and a colorful 2.2-inch display. It has a 1.3-megapixel camera so you can get still photos. Also, it comes with Bluetooth stereo music, GPS navigation, e-mail access, and no monthly contract with Virgin Mobile’s by-the-minute PayLo plans. Enjoy up to 4 hours of talk time and up to 225 hours of standby time. The package includes the handset, charger, rechargeable battery, and a quick start guide. The Kyocera 2300 Prepaid Phone is perfect for customers who are looking for an affordable prepaid Virgin Mobile Paylo phone that is compatible with assurance wireless and with a QWERTY keypad. It features text messaging, Voice-Activated Dialing, and MP3 ringtones. 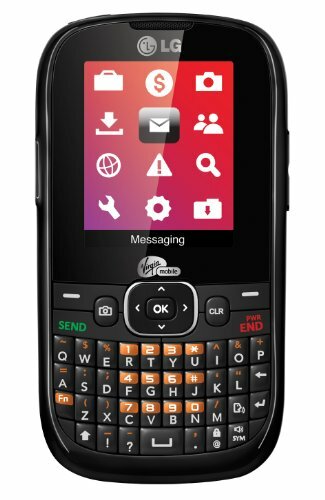 With the Kyocera S2300, you can enjoy easy texting for the prepaid Virgin Mobile network, as well as on-the-go social networking. You can customize data capabilities and the number of minutes with Virgin Mobile PayLo plan to fit your needs. You’’’ definitely love this phone because it has all you need in a basic phone. It is convenient typing even one-handed with Kyocera 2300 Prepaid Phone full QWERTY keyboard. The bright 2.2-inch landscape display gives you an intuitive access to all its features. 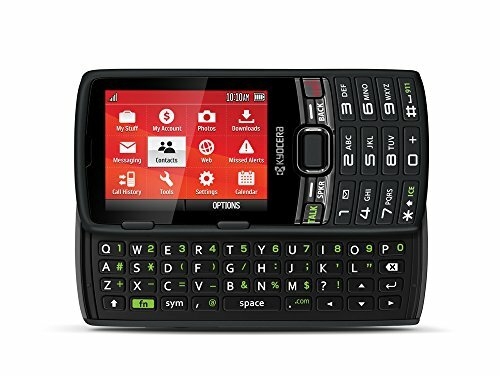 In addition to pre-loaded social networking access (for Twitter, Facebook, and MySpace) and threaded text messaging, the Kyocera S2300 also provides access to personal e-mail services and instant messaging (including Yahoo!, Gmail, AOL, and Windows Live). You can also have an access to the Virgin Mobile Navigator service for voice-guided directions, to search local business, and get weather updates. Accessing Google Maps for directions is also possible as well as viewing real-time traffic conditions. 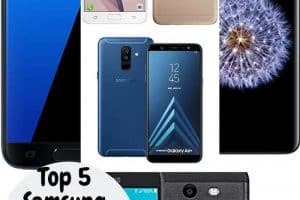 The other features include a Bluetooth for hands-free devices, stereo music streaming, and Internet access through the pre-loaded Opera web browser, optimizing each web page for your phone screen. It also has speakerphone with a dedicated function key, voice dialing capabilities, a contact directory (store up to 500 names), and a headset jack (3.5mm) so you can use your favorite headphones. Keep yourself organized on-the-go with productivity features including an alarm clock, calculator, memo pad, scheduler, voice memos, and more. 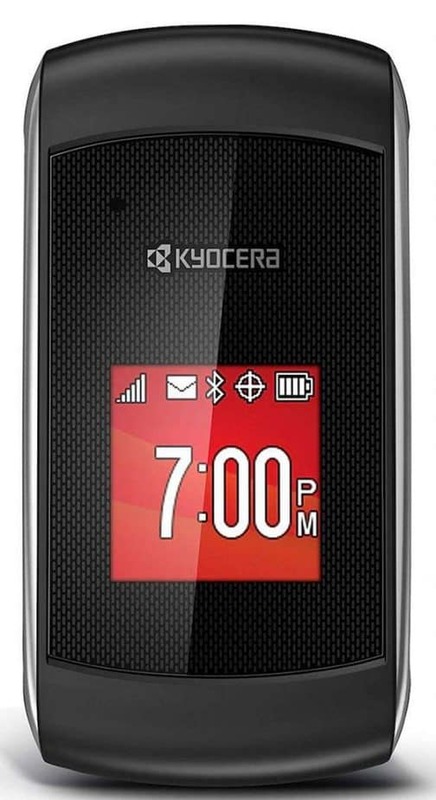 The Kyocera S2300 measures 4.1 x 2.6 x 0.6 inches and weighs 3.49 ounces. This mobile phone runs on the 800/1900 CDMA frequencies. The LG LG200 is a smartphone offering a strong balance of affordability and functionality, with the convenience of a Virgin Mobile prepaid plan. The cool features of this phone include a full QWERTY keyboard, chat, email, and web browsing all on a 2.2-inch QCIF LCD screen. No need to spend more than you need with this easy-to-use phone. Text, call, send and receive picture messages, email, IM, and social-networking are all at your fingertips without breaking your bank. Enjoy the best features and benefits of this phone today! 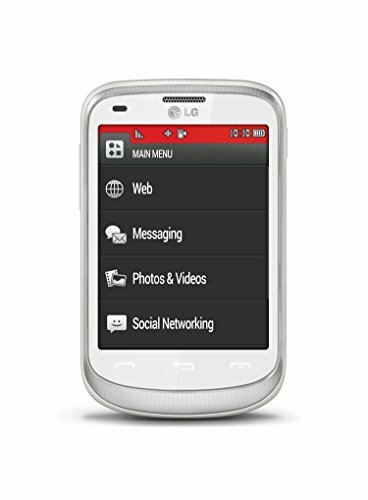 The Virgin Mobile LG LG200 allows you to keep in touch with email and chatting from popular Internet services like Gmail, Yahoo, AOL, and Windows Live. You can quickly check the weather and the news on the LG200’s mobile web browser. Also, take pictures when you are out and about with this phone’s built-in 640 x 480 camera. You can connect wireless peripherals like earphones and headsets using Bluetooth 3.0 for a convenient, hands-free experience. Because this is one of the Virgin Mobile Paylo phones, you don’t have to worry about any contracts to sign, so you only pay for the minutes and data you really need. The LG LG200 measures 4.5 x 2.3 x 0.5 inches and weighs 3.6 ounces. It is equipped with a 950 mAh lithium-ion battery that can provide up to 7.5 hours of talk time, and 20 days of standby time. This phone runs on 800/1900 CDMA/EV-DO of Sprint’s 3G. The box includes the LG LG200 smartphone, combo charger, Li-ion battery, and user manual. 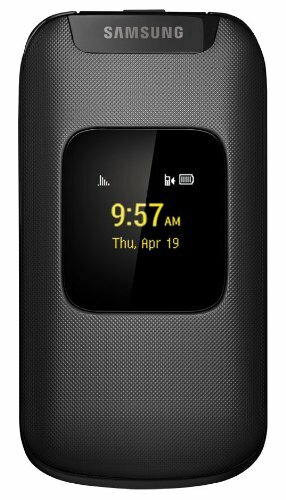 The LG LG200 is one of the Virgin Mobile Paylo Phones compatible with Assurance Wireless. It is a good grab today! Now, you can slip the compact and convenient Samsung Entro SPH-M270 flip phone directly into your purse or pocket when you are on-the-go. 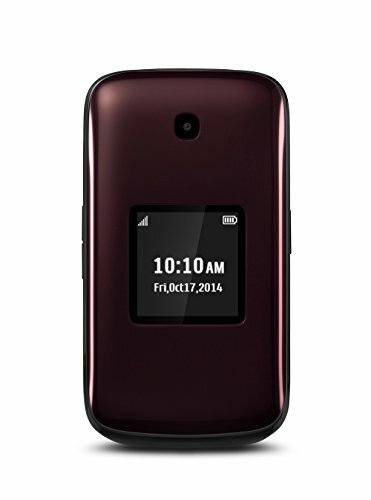 This is one of the best Virgin Mobile Paylo Flip Phones that measures 3.6 x 1.6 inches x 0.6-inches and weighs 3 ounces. This phone is a must-have for those who are looking for a budget-friendly phone. It includes a convenient accessory even if you have an active lifestyle because it features everything you need in a cellphone. It comes with a compatible wired microphone and earphone, allowing you to talk hands-free to stay safe while you’re driving. Because the battery is powerful, this cellphone gives you a total talk time of 4 hours and a standby power of up to 12 hours on a full single charge. Now, you can enjoy long and uninterrupted conversations with your family and friends, keeping you connected even when you’ are out all day. This phone is also equipped with a web browser, making it is easy to stay in-the-know by checking your email and looking up directions, and product reviews just like what you do on a home computer. Store your text messages with 18MB of free phone space, so you can them read later and save many contacts to ensure you won’t miss contacting everybody. You can download pictures to your Samsung Entro phone from email or social media. It is a single-band 1900 MHz Samsung phone only from the best Virgin Mobile Paylo phones compatible with CDMA. With quality and clear call reception and clarity, you can expect phone calls that are free of interference. The noise-reduction of this phone allows you to take calls outside and still be able to hear the person you are talking to. It is compatible with the Assurance plan which is a very good choice for all your mobile needs. The Samsung Entro mobile flip phone features well-spaced large backlit keys, giving you enough room to type numbers accurately when you’re calling or messaging your contacts. The main menu has 9 different shortcuts, saving your time to get you where you want to be. There’s an included directional pad featuring a “select” button in the middle, and “start” and “end” buttons underneath it. Now, you can call and text with ease on the Kyocera Kona cell phone, which is one of the Virgin Mobile Paylo Phones Compatible with Assurance Wireless. This is a compact mobile phone that can give you the freedom to roam or multi-task while still being connected to your family and friends. Whether you want to text, call, use messaging apps, or browse the internet, the Kyocera Kona smartphone is packed with useful features for users who are always on-the-go. This is definitely a good grab! The phone weighs 3.7 ounces which are a lightweight Kyocera Kona flip phone that is packed with a punch. It measures 3.94 H X 2.05 W X 0.68 D inches allowing you to easily slip this phone into your purse or pocket. It has a 2.4-inch front screen display with a 320 x 240-pixel resolution, and a large font option so you can see everything you have to do on the stylish and functional Kyocera Kona. This phone’s front portion has a 1.44-inch LCD display that comes with a 128 X 128-pixel resolution. It shows the time, date, battery, and reception without opening your phone. It has a 480 MHz Qualcomm QSC6155 processor that makes this Kyocera mobile device quick to respond whenever the GPS function or gaming is used. This is a Kyocera flip-style phone featuring a tactile keyboard that allows quick typing, texting, and surfing. The keys are properly sized to allow accurate texting and typing. Now, that is great convenience for you! The predictive text entry allows typing faster than ever with 20 text messaging templates included to cut down the time it takes you to type out your message. The circular navigation button allows you to quickly go through the menu to help you in finding what you really need. It is also equipped with shortcut keys for the audio speaker and camera. The Kyocera Kona comes with a web browser so you can check directions, your social media, or send important emails. It comes with a removable 870 mAh lithium-ion battery, giving you up to six hours of talk time and 700 hours of standby. When it’s time to recharge, just simply connect the charge back to the smartphone through the micro USB port. 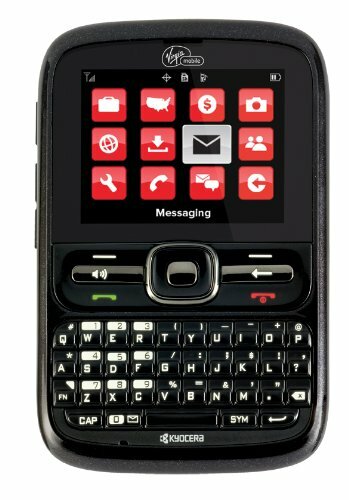 The Kyocera MARBL K127 is one of the Virgin Mobile Paylo phones compatible with Assurance Wireless. It is a compact phone that comes with an internal antenna, basic CDMA and a clean design. The key features include voice memo, full-duplex speakerphone, voice dialing, and Simple BREW or JAVA for adding content and games. It measures 10.4 x 7 x 2.1 inches and weighs 15.2 ounces. It is compact and lightweight for convenient use for your daily texting and messaging. It is a very nice basic phone! It is very functional and a very basic Virgin Mobile flip phone. It is extremely reasonably priced a Virgin Mobile plan. It is an “antique” cell phone to maintain your cheap plan. It is great for those who really don’t text or use a phone regularly, just enough for occasional calls and emergencies. The voice dialing feature is cool that newer pricier phones don’t all have. The KYOCERA OYSTR is a full-colored handset with a palm-friendly design and a rubberized grip, making it a phone to behold. The additional features include two-way text messaging, real music ringtones, one-touch dialing, and mobile web browsing. It has a very stylish look that makes it an ideal novice handset for anybody who wants to make a statement while talking. Enjoy calling and messaging your friends with this cool basic phone! This is a black and white beautiful phone offering a traditional clamshell design. It has a 65,000-color display and a pixel resolution of 128 x 128. Most and on-screen menus are properly controlled by a 5-way center button on the control pad of the handset. The top right side of the phone houses an extendable antenna while charging ports and data are housed on the bottom edge of the unit. The up and down keys are used for volume control which is found on the left side of the phone. The Kyocera Oystr measures 4.46 x 1.88 x .98 inches and weighs 3.5 ounces with a lithium-ion battery providing up to 3.5 hours of talk time, and up to 175 hours of standby time. The built-in address book of Kyocera Oystr offers easy and quick management of all your contacts. It comes with built-in Virgin Mobile “superphonic” ringtones with a vibrating alert. The superphonic ringtones feature genuine music tracks that are available via Virgin Mobile’s download service. The voice dialling supports up to 10 contacts. You can dial numbers and also control certain functions without ever touching it. It covers basic messaging with support for receiving and sending text and picture messages quickly and easily. The eZitext text entry is an amazing technology, making easier for people to enter text on the handset. It comes with handy tools which include a calendar, an alarm clock, voice memo recorder, and a calculator with a tip calculator. This is a 3.2 inches capacitive touchscreen phone with a 2-megapixel camera (125 PPI pixel density) and WiFi 802.11 b/g. It comes with a 1540 mAh battery and energy-efficient charger. It measures 2.5 x 0.5 x 4.1 inches and weighs 3.8 ounces. The screen-to-body ratio is 48.77 % featuring a proximity sensor, 320×240 (QVGA) recording, and 2 MP camera. The processor of this phone is 480 MHz with 0.5 GB of RAM and 256 MB ROM. Now, you are more confident getting your Assurance Wireless plan with Virgin Mobile using this phone today! The storage expansion is up to 32 GB. It works on CDMA 800/1900 MHz with Bluetooth connectivity, Wi-Fi, micro USB connector, USB charging, GPA, and computer sync. The phone features include music ringtones (MP3), flight mode, vibration, phone profiles, silent mode, and speakerphone. The other features are voice dialing, voice recording, voice commands, and VTTY/TDD. 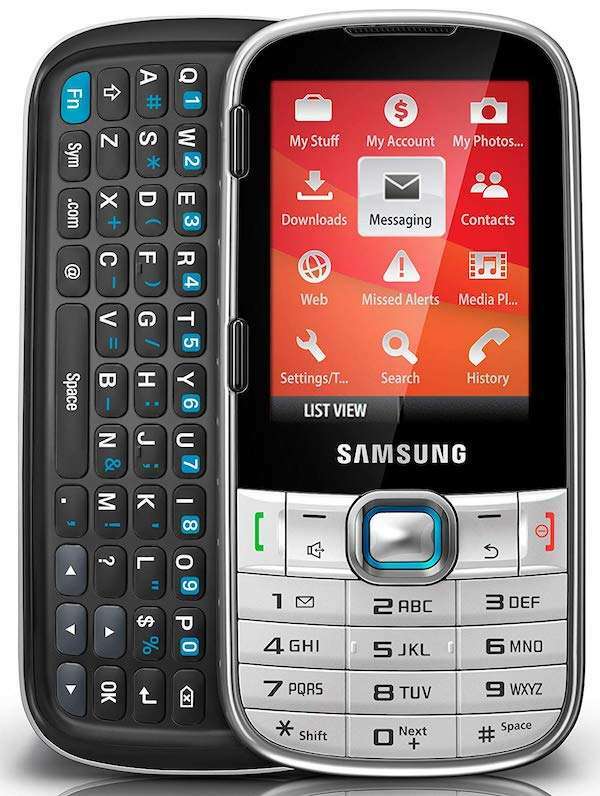 The features of the Samsung Montage include a slide out QWERTY Keyboard, 2.0 MP Camera with Camcorder, Threaded Text Messaging, Hands-Free Bluetooth, Web Access, Email, and Instant Messaging. It is better than other Virgin Mobile Paylo phones which is clear enough and free of static, most especially when it rings. You will surely love the keyboard because the buttons are pretty flat. You won’t have issues typing on this keyboard. Also, you’ll love the smileys and the screen too is pretty large, even larger than it looks in the listing. While the camera is not the “best” camera phone, it is much better than its counterparts. You need to lower the resolution on the camera to send it. It has different shooting modes which are a nice feature. The battery life is so great. The Alcatel OneTouch Retro is a basic phone with simple features. Minimalistic but stylish and sleek with a large keypad that makes texting, picture messaging and dialing is not complicated. You can snap and share photos with its 2-megapixel camera and enjoy recording videos. The basic menu includes messaging, settings, SIM services, display, and ringers. This phone doubles as your personal portable TV, MP3 player, or radio. Enjoy surfing the internet because this phone is also a Web-capable device. You can manage the settings conveniently easy and fast at your fingertips on this email and text-capable device. The Bluetooth is hands-free enabled, allowing short-range wireless communication with a Bluetooth headset and wireless headset for uploading and downloading to or from your computer. This Alcatel handset Hearing Aid Compatible certified in accordance with the applicable industry standards. It has a HAC rating of M4 for hearing aids that are operating in the acoustic mode. It has a HAC rating of T4 for hearing aids that are operating in the telecoil mode. It has been tested and rated to be used with hearing aids for the wireless technologies it uses. It’s important to try the various features of this phone thoroughly in different locations, with the use of a hearing aid or cochlear implant, to determine any interfering noise. You may contact your service provider or the phone manufacturer for additional information on hearing aid compatibility. and measures 4.6 ounces. This is a nice phone with plenty of easy-to-use features. 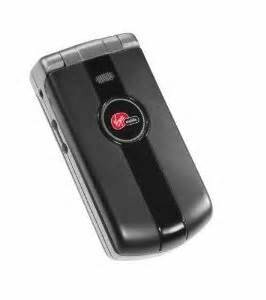 It is one of the best Virgin Mobile Paylo Phones compatible with Assurance Wireless, carried by a virgin mobile network in a 3G sprint system. The government assistance services include 250 free talk minutes and unlimited text. There is a $5 plan available for an additional 250 talk and unlimited text. Also, another plant for $30 for unlimited talk and text. The assurance plan only works with the Virgin Mobile Paylo phones that are not purchased from Walmart. This phone is capable font size bigger than the usual screen with large keys on the QWERTY keyboard. The keys are easier to press. No calls dropped with its great reception for a budget-friendly phone. The Kyocera Contact is a very nice basic phone that is well-constructed. The keys are spread out better as compared to other keyboard phones. The menu and navigation interface are user-friendly. You can swap your free phone by going to the website or Virgin Mobile and Assurance and then chose SWAP new phone. Just follow their instruction by entering the Kyocera Pin and Serial Number. Swap your new Kyocera from a free Alcatel phone. Virgin Mobile USA is now offering lifeline telephone services which are subsidised by the United States Federal Communications Commission’s Universal Service Fund. This is under the Assurance Wireless Brought to You by the Virgin Mobile brand. 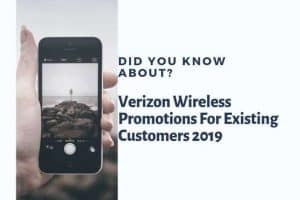 It offers a free wireless smartphone, unlimited text messages, 350 free local and domestic long distance voice minutes, and 1 gigabyte of data per month to US citizens who are able to meet the eligibility requirements and those who are living in a participating state. The standard services that users receive are completely free of charge, and users can also add additional text messages, voice minutes, and international long distance through pre-payment with the use of a debit card, credit card, PayPal, or Virgin Mobile top-up card. Assurance Wireless users who don’t receive a bill don’t need to sign a contract and don’t pay recurring fees or activation fees. 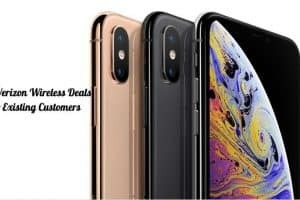 You can get these phones at very affordable price which are compatible with Assurance Wireless. Enjoy texting and calling your family and friends anytime and anywhere. Check the website of Assurance Wireless and Virgin mobile to know more about this free government cell phones assistance program. It is the best time to get your budget-friendly phone now so you’re ready for Assurance Wireless. Grab yours now!